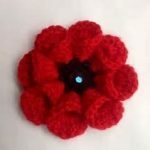 During morning worship on 22nd April, we launched the first stage of our Remembrance and Reconciliation Festival — the creation of our poppy art installation. 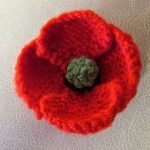 Consisting of thousands of knitted and crocheted poppies, the installation will give everyone, whatever their ability level, the chance to contribute towards the focal point of our festival. 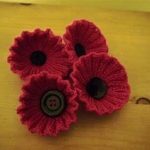 So whether you are a seasoned crafter or an enthusiastic novice you can play an important part. 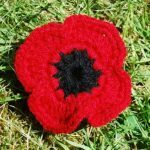 At the moment we have six different poppy designs for you to choose from, available either alone for you to make as many as you want, or in kits containing enough materials to make 2 poppies. 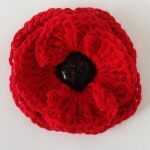 Kits and cards are available now in church and completed poppies can be placed in the collection box at church. 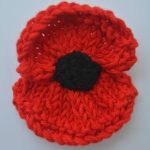 You can also download the patterns below to make as many poppies as you like. More designs will be available soon and are shown below. 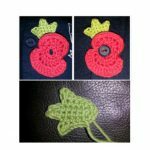 We will also be holding “knit and natter” sessions during the open door coffee mornings on the following Tuesdays. 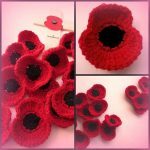 So why not come along, have a coffee and enjoy some time together whilst creating something special? All sessions will run from 10am—12 noon after morning prayers on 1st, 15th and 29th May, and 12th and 26th June. 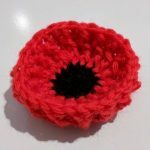 Patterns for all the poppies are available as PDF files for you to download. They can be printed onto A4 sheets and folded into a booklet. Click the images to open the PDF in another window, or right click the image and select “Save link as…” to download the PDF.